Join me for an intimate dancing retreat in the French Alps. We will be staying at Les Fraisses, a traditional alpine building handmade from trees cut down in the surrounding forest over a century ago. We’ll dance inside in the purpose built barn and sleep outside in tepees or tents. It’s an area of outstanding natural beauty on the side of a mountain surrounded by alpine woodland, wild flowers and a gorge. There’ll be two sessions of dance each day with time in between to either rest or explore the numerous mountain paths. Participants will be restricted to 12 and we’ll join together to help prepare meals, wash up or collect firewood creating an intimate and heart felt community experience. 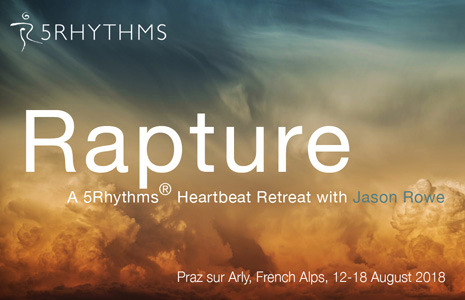 This retreat will be profound, simple and beautiful (no electricity, limited wifi) taking our dance practice to a deeply connected place utterly supported by nature. Allowing our hearts to feel rapture and our human spirit to revitalise from the busyness of the world.